The outcome will be a plan with Complete Streets designs for roadway, sidewalk and intersection changes that support all modes and users of all ages and abilities, builds foot traffic for local businesses, encourages interaction in public spaces, and adds vibrancy to the community. This project is made possible with the support of a Caltrans Sustainable Transportation Planning Grant received by the City in partnership with the Local Government Commission. THE DRAFT PLAN IS HERE! And we’re really proud of everyone’s contributions. The design concept was presented to the Planning & Zoning Commission on October 24, 2018. The design concept was presented to the Traffic & Safety Commission on September 27, 2018. On Saturday, September 22, from 2-5pm, we released draft designs for review and invited the public to visit a pop up demonstration intersection treatment, and provide feedback. If you weren’t able to make it, check out the pictures from the event. See the draft design (pdf), presentation boards (pdf), and perspective drawings (pdf) and let us know what you think - submit feedback below under Contact Us! Thank you Flowerland Nursery for donating space and materials for the pop up event! On June 28, 2018, Toole Design Group presented existing conditions and community input to the Traffic & Safety Commission. on May 30, 2018, we held a Walk Audit and Community Design Workshop. The City hosted small group “walk and talk” audits on Solano Avenue, followed by an evening community workshop. Our technical consultant team, led by Toole Design Group with the Local Government Commission, is collecting and reviewing traffic and safety data, existing plans and current planning efforts, and documenting conditions along Solano Avenue. 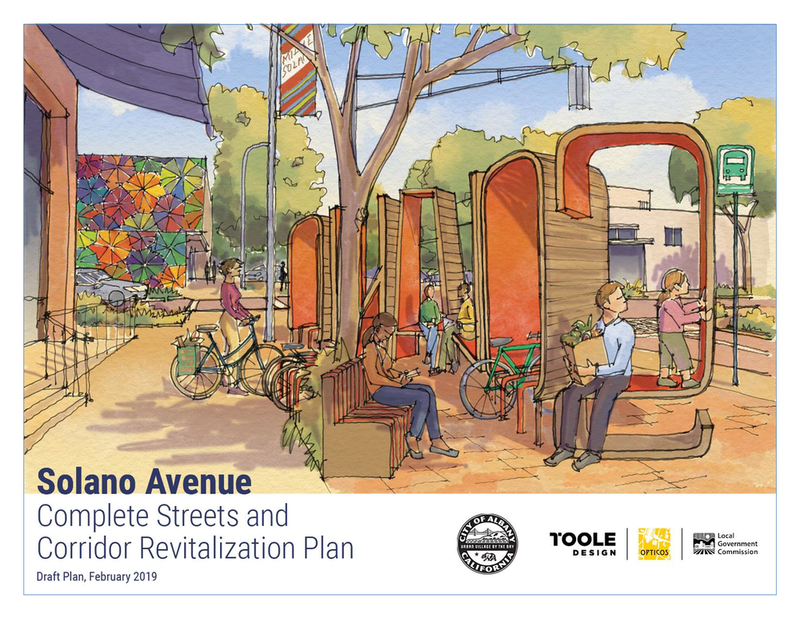 On April 17th, the Technical Review Committee met and had an initial discussion of issues, opportunities, and local points of interest along Solano Avenue, and strategies to engage residents and stakeholders in development of the plan. On September 21st, the Technical Review Committee reconvened to review and comment on the draft design. To stay up to date on this effort, follow the link and check the Solano Complete Streets box under Calendar and News. Anytime a news or calendar item is added to the City’s website, if it affects a neighborhood or a City item that you have checked, you will get an email. Simple as that!  Albany's eNews provides a weekly summary of City happenings. Sign-up to hear about what's going on in your community, including developments on Solano Avenue.